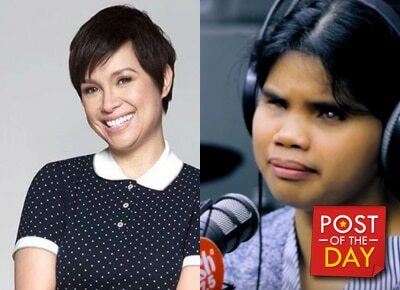 Katchry Jewel Golbin aka Alienette Coldfire’s cover of “On My Own” caught the attention of Broadway star Lea Salonga. Alienette is a blind Pinay singer who joined a French talent show last year. “You have to hear this. Excellent!” Lea remarked. “On My Own” is an original song from the musical Les Miserables where Lea played Eponine. She’s also the first Asian to perform in the musical. Alienette also sang the original French version of "I Dreamed A Dream," and The Jackson 5's "I'll Be There."